I intended to post this yesterday, but Lesson #1 about eclipses is they’re pattern breakers, with a marked tendency to interrupt the continuity curve! And we’ll probably be feeling the effects of this eclipse for quite a while anyway (for up to three years). So to return to our almost-regularly scheduled programming: This is/was the second eclipse in our “triple header” May eclipse sequence, and it’s a New Moon Solar Eclipse, A solar eclipse, in case you need a refresher, happens when the Sun becomes eclipsed by the Moon as it moves between the Sun and the Earth. This eclipse isn’t total, so the rim of the Sun will still be seen around the Moon. Eclipses occur in families, and this one is part of Saros Series 138 South 15, which initiated on June 6, 1472. Bernadette Brady, in her book “The Eagle and the Lark” speaks of this eclipse family as being associated with the “release of tension” and tied to lingering situations that “suddenly clear”, and as they clear “there is a sense of grief or loss, which is not so much personal but belonging to the collective.” This gives us a clue as to what kind of energies will be swirling around the cosmos at this time. We may have been feeling an uncomfortable build-up of energy related to past situations that’s seemed “on the verge” for some time. This eclipse occurs at around 20 degrees Taurus, so those of you with on either side planets or chart angles (Ascendant, Midheaven) within a few degrees of 20 Taurus on either side will be most attuned to the energies of this eclipse. Taurus and Scorpio people will probably resonate the most ,since the Nodes are also in the Taurus/Scorpio polarity (more on that later). If you know your astrological chart, take a look at the house where you find 20 degrees of Taurus. That’s where the action is! It’s also where the weird is. 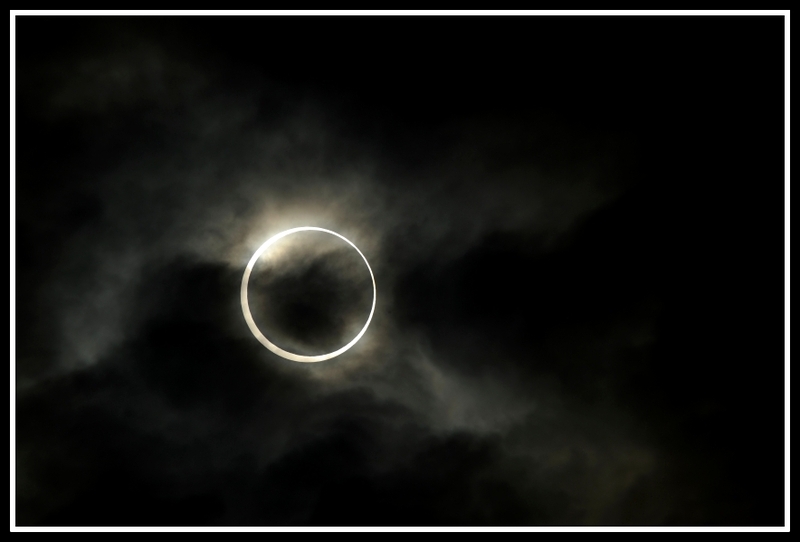 Eclipse energy has a tendency to destabilize situations in order to bring on change. Eclipses remind me of wild pitches thrown during a baseball game. Something’s going to happen after that ball leaves the pitcher’s hand, but we’re not sure what. If it hits the batter, he might even gain a base from it. One thing’s for sure—once the ball’s in flight, it’s out of our control. And here’s our musical cue/interruption to illustrate Rule #2 about eclipses: “It’s Out of My Hands”. http://www.youtube.com/watch?v=nLk1tqpXD4A Chant that a few times like a mantra so you don’t forget. Sometimes there’s just nothing you can do but release your grasp and let things happen. They’re going to happen anyway. This eclipse is interesting for several reasons, but one is that it’s a New Moon eclipse, with a focus on opening the door to new opportunities, starting over, and clearing the field, but it’s also conjunct the South Node in Taurus, which basically equals “old crap we’re used to and enjoy hauling around even if we’re not sure what purpose it serves”. This eclipse is very Taurus-heavy. In addition to the Sun (and Moon, of course, which is conjunct in a New Moon eclipse) and the Node, Mars, Mercury and the asteroid Pallas are all in Taurus. They’re in opposition to Saturn and the North Node in Scorpio. The asteroid Juno also squares the Taurus lineup. Pluto in Capricorn is opposite the asteroid Ceres and sextile Chiron in Pisces. And we’re gearing up for another exact hit of the Uranus/Pluto square which has been eating away at all the weak spots of all our infrastructures. So what can we say about this eclipse? What are the themes? If we look at that Taurus traffic jam, we see Mars conjunct the South Node in Taurus, so past actions have created some kind of karma that’s still with us, or that we’re holding on to. This is about habit patterns, the things we do because we’ve always done them. The energy flow is going where it’s always gone—it’s like a river that flows along a certain path because the riverbed is etched deeply into the stone. We’ve etched ourselves a rut, which may also be tied to our thought patterns (Mercury in Taurus) because that’s the way we create our reality. If you believe in past lives, we may be in an “eternal repeat cycle” in order to learn how to break out of our comfort zone (Moon in Taurus) and question our deep-rooted ideas of who we are (Sun in Taurus). Pallas, very close to the Sun/Moon duo, is the archetype of the detached/strategic warrior goddess, and Juno squares the whole shebang, so what’s on the agenda? The Moon’s exalted in Taurus, and Venus, Taurus’ ruler, has now headed into Gemini, so we’re being asked to take a look at all those things we’ve done on auto-pilot, unconsciously. We need to unify our “multiple personalities”—get them talking to each other. It’s our responsibility to pull it all together, to take charge of our lives. Our shadow sides may suddenly make an appearance, popping up like that not-so-dead body in a horror movie, and we become aware of compulsions, attachments and all the “icky stuff” we’ve tried to avoid dealing with. Maybe we’re finally able to release the hold that slop has on us—we see an opening and take it. It’s interesting that right around the time of this eclipse, the spotlight is on that horrible situation in Cleveland where a man kidnapped and held three women (plus a child born later) in captivity for a decade, in the middle of an average neighborhood of frame houses and families. One of the women was plotting her escape, saw an opportunity, grasped it, and started kicking down the door (Pallas energy). She took the chance when she saw a tiny opening, and it saved her, her child and the other two women trapped in that house. I saw an interview yesterday where relatives of one of the women said that all she wants to do is sit outside in the sun. After being entombed in that dungeon atmosphere for so long, she wanted to feel that warmth and return to a healthy situation. She knows what will heal her. This eclipse is also about re-establishing healthy habits and learning how to nourish ourselves. With Pluto opposite Ceres and sextile Chiron, we’re coming up from the underworld and trying to correct long-established patterns that have stolen our vitality from us. With these aspects and the Taurus emphasis, I’d expect to see a lot about eating disorders in the news. We will hear about tainted or nutritionless food, obesity problems, and other manifestations of disordered nurturing/parenting. This is a societal issue that must be dealt with and will keep coming up until we take action. Saturn in Scorpio, plus the North Node (also in Scorpio), puts us on notice and into clamp-down mode. We all need a tune-up-personally and as a planet. The pressure is on as we realize where we’ve been slacking. Since Saturn is retrograde, we have to re-learn our lessons from the ground up. The North Node indicates our new direction lies in fearless transformation and, possibly, the removal from our lives of anything that’s in the way. It’s not necessarily pleasant, and the more attached we are to things the more it’s going to hurt. Just be aware that anything that goes out of your life at this time is leaving for a reason. There’s a need to create a space so new things can flow to you without tripping over the carcasses of the old. *Get down and dirty: Slow down, get into gardening, dig in the dirt, commune with nature, toss some manure around. *Give it away, give it away, give it away: Get rid of stuff you don’t want/like/need. Sell it, give it, toss it, torch it. *Take care of yourself: learn about proper nutrition, get enough sleep, buy vitamins, go to a spa/sauna, get a massage. *Detach from vampires: Don’t hang out with people who use or drain you; end one-sided relationships, de-complicate your life and associations. *Manage your time/daily life: You want to open up space for great new things to enter, so this means it’s time to eliminate pointless rituals and release yourself from obligations that no longer make sense. Say no to things that drain you and keep you from pursuing things that really make you happy. *Be resourceful/Improve your quality of life: It’s a great time to work on increasing business, revenue, or enhancing your finances. Taurus/Scorpio energy is about resources (your own and other people’s) and attendant issues of value and self-worth. Focus on any blocks you may find in this area; work to eliminate anything that’s keeping you from living an abundant life. *Give Voice: Taurus is associated with the throat and voice. Open the throat chakras, sing, hum, learn an instrument, listen to music, go to concerts. *Picture It: Taurus likes to see it, taste it, touch it. Figure out what you want to manifest in the physical world, then find a picture of it. Tape it to your refrigerator (Taurus likes to eat, too). Venus has moved to Gemini, so you can write about gorgeous things, too. Get a notebook, draw pictures , jot down your thoughts. *Work with the gemstones for 20 degrees Scorpio/Taurus: Marina Costelloe’s book, “Crystal Astrology” assigns the Spotted Lapis stone to 20 degrees Taurus and Vivianite to 20 degrees Scorpio. She says Spotted Lapis “lightens emotions and allows stress, worries, fears and anger to drift away”, while Vivianite helps us “uncover personal power through inner wisdom”. *Think back to mid-November 2012 and to the Spring of 1994 and 1975 (eclipses run in 19-year cycles): What was going on at those times? Look for connective threads from those periods to now and see what common factors emerge. What were the “trigger moments” during this time? What did you have to let go of? What left your life at that time? *Play your wild card: In the words of Monty Python’s Flying Circus “and now, for something completely different.” Find it. Do it. Be it. Kozminsky Symbol for the eclipse SUN/MOON: “A flight of white eagles. Both of our eclipse symbols relate to lightness and motion. The Kozminsky Symbol depicts something rather rare (white eagles) that travel in rarified air, soaring above the earth. This heightened perspective relates to “farsightedness” and the ability to see things others may miss because their heads are down, staring at the ground. It relates to spirituality and the ability to rise above petty concerns. The future orientation of this image asks us to formulate our highest goals (rising to the challenge), and focus on what makes us unique. We’re learning how to take advantage of our skills through advance planning. Eagles are often considered royal birds, so we’re also learning how to take charge. This eclipse helps open the doors to a vast universe and new possibilities for “flight”. We’ve been earthbound for too long—it’s now time to soar! The Sabian Symbol features clouds skittering across the sky. It’s a warning that skimming the surface is not enough—we must go deeper. This is one of the lessons of this eclipse period. In the middle of confusion and change, we need to maintain an inner calm and solidity (Taurus), and never lose sight of who we are, so we don’t lose our heads when things get crazy. The clouds are also symbolic of the movements of spirit and messages from the heavens, so we’re being asked to raise our heads and interpret the signs. Look for omens, signs and signals-they’re there if you’re observant. The negative side of this image relates to being scattered or dragged in too many directions or placing too much importance on things that are ephemeral. We need to avoid being drawn into other people’s hysteria or agitation. However, during periods of extreme or sudden change, there are also opportunities, if you remain alert and centered. This eclipse offers us a glimpse of the divine, a sudden opening . Here’s a prime eclipse combination. The structure which we thought was solid/stalwart (Mars in Taurus) comes down, generally because there were flaws in the situation that we either didn’t notice or tried to ignore, hoping things would be all right anyway. Saturn in Scorpio (opposite the eclipse) shows us all the flaws in our plans, our structures, and our psychological underpinnings. Be aware that whatever falls now needed to go because it didn’t have a proper foundation. This combination is like an old building that wasn’t built to adhere to current fire codes. When there’s a fire, it collapses into rubble. The Ace of Wands is the rush of all-consuming energy that clears the playing field. New inspiration is needed. Old ideas and methods just don’t work, no matter how much some insist things can be fixed. Things have degenerated, rotted out and are mired in negative energy. A new energy source is needed now. This is healing fire, a purge, that gains power and feeds off the remnants of the old. It’s a leap of faith, a new philosophy, a soul-clearing. Thank you as always for an amazing blog!